The favorite lemon at Logee’s is the Meyer Lemon. 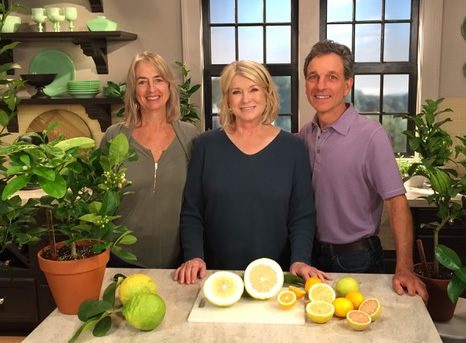 We love this lemon for its zestful flavor and its ability to grow in a home environment in a small pot and still produce lemons. They are much juicer and flavorful than the ordinary table lemon. 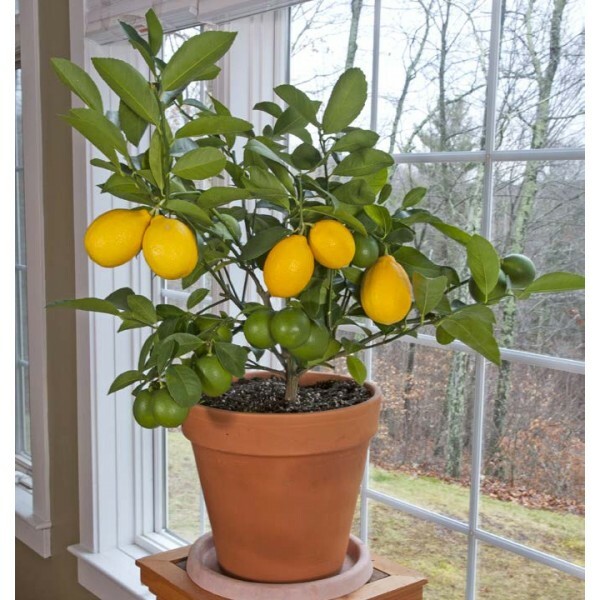 At Logee’s, we have had some Meyer lemons in 12-inch pots for more than 35 years and year-after-year, they reliably produce an abundance of fruit. Always, around this time of year, our fruit is either ripening or producing more blooms for the next cycle. Meyer lemons produce fragrant blooms and intermittently fruit year-round and it makes a wonderful addition to any windowsill garden. Another spectacular lemon is one of Logee’s signature plants called The American Wonder Lemon, also known as the Ponderosa lemon. We acquired the Ponderosa lemon from a grower in Philadelphia in 1900. The small tree was shipped to us via train and then picked up by horse and buggy at the local train station in Danielson, CT and planted directly into the ground in one of our original greenhouses. The same Ponderosa lemon tree has been growing there ever since, with thousands of cuttings taken from this tree. 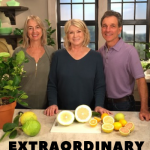 To get perspective about this special tree, let’s look at the typical supermarket lemon which weighs about three to four ounces. 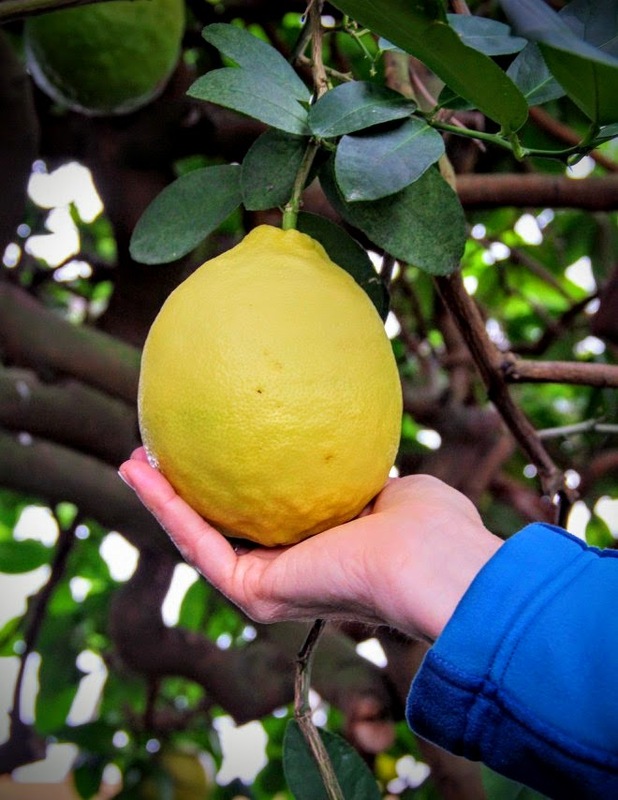 Our Ponderosa lemon can weigh up to five pounds, that’s why it was named The American Wonder Lemon. For the past 119 years, our tree has produced a new crop of fruit, and some of the giant lemons are the size of small melons. Over the years, as the tree grew bigger and bigger, so did its fame. Visitors from the neighboring area started to make special trips to see the tree. By the 1950s, The American Wonder Lemon tree had become a tourist attraction. Thousands of visitors from across America and throughout the world came to see the famous tree each year. Those who have made the pilgrimage include actress Audrey Hepburn, illustrator Tasha Tudor, TV maven Martha Stewart and many more. 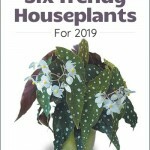 Today, cuttings are still taken from this giant tree and plants can be bought at Logee’s retail store, in our catalog, or on our online plant store. 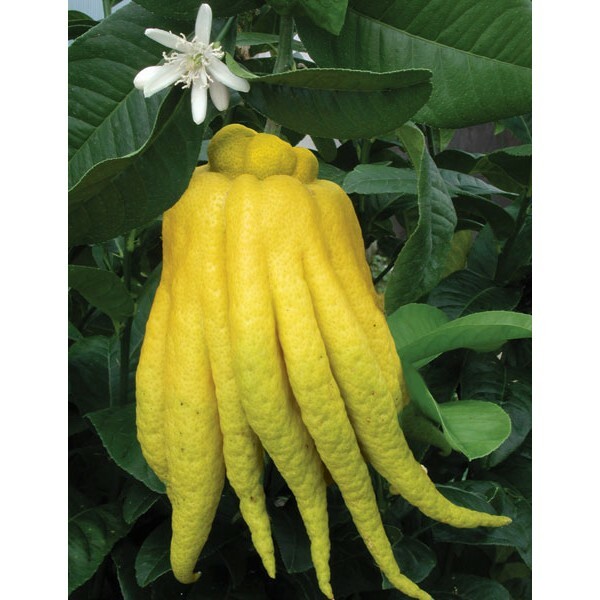 Another unusual lemon is Buddha’s Hand which is the oldest known citrus in cultivation. In China and Japan, Buddha’s Hand represents good fortune and happiness. Many times, the fruit is given as a highly prized gift in place of flowers. Its large fruit produces long protruding fingers and a thick rind in the shape of a hand. The interior of the fruit has little pulp but this citron medica hybrid is grown for its rind, which is often candied or zested with its sweet to tart flavor. 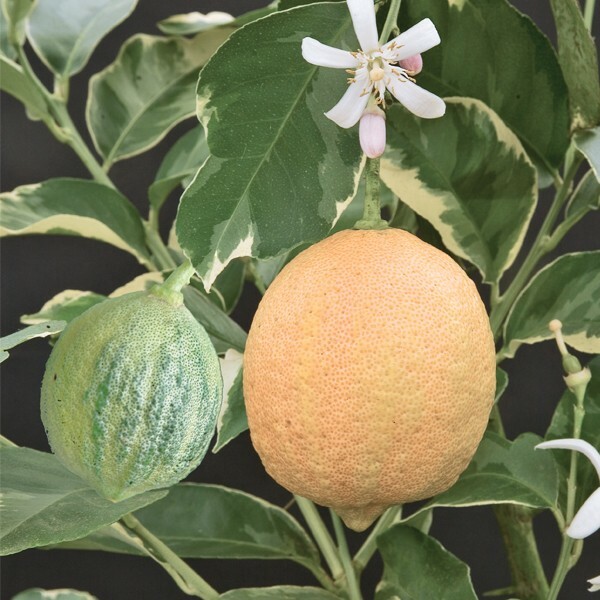 Often called the Pink Lemonade Lemon, Variegated Pink-Fleshed Eureka Lemon is an ornamental showpiece with its variegated green and white leaves. This novelty pink lemon has pink flesh inside and colorful rind outside so this lemon stands out from all others. The lemon rind on the fruit is striped green and cream before it turns pink and yellow when fully mature. This variety fruits easily and the inner flesh is light pink with very few seeds. The taste is comparable to a regular lemon. The primary fruiting season is late winter, spring and early summer. 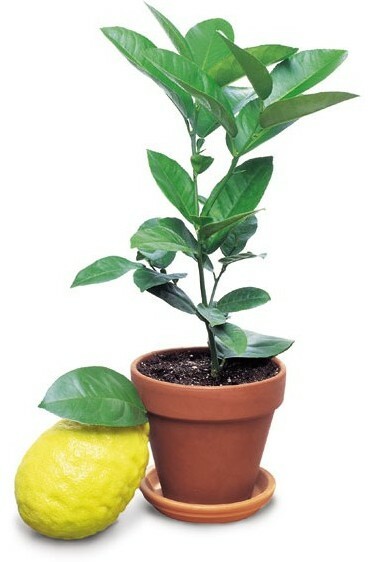 The best advice on how to grow lemon plants is to keep them pot bound, meaning don’t over pot, so the roots stay healthy. We also recommend growing them in clay pots, so the roots get plenty of air and don’t sit in wet soil. They do best in full sun in the wintertime with temperatures above 60 degrees but can maintain growth at above 40 degrees. Water when the soil is visually dry. 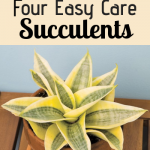 Fertilize with a balanced fertilizer in the active growing season and prune when young to create a multi-branched bushy plant. 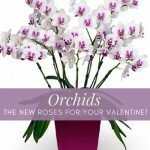 Orchids are the New Roses for Your Valentine! © 2018 Logee's Greenhouses, Ltd.